Even after you’ve submitted your applications, regardless of the option you have chosen (ED, EA, REA, EDII, priority, regular, or rolling), each school expects you to do your due diligence in keeping up with the progress of your application. Schools on Common App, for example, give you simple directions to keep track of your application. You might have noticed that many Common App schools will congratulate you for completing the application, but then you see the words, “What’s next?” You need to click on that and learn what the school expects you to be doing while you are waiting for a response. Most schools ask you to set up an account and to check it regularly. That is where a school will tell you if something is missing, and if you don’t take care of the issue, you could be shifted to regular decision or your application could even be voided out. Don’t be terrified by the fact that items may appear to be missing. Glitches happen. Schools are aware of this, and they generally are very clear about how to remedy the situation. Even if your college list shows a green check mark indicating that your Common App and the accompanying supplementary information have been submitted, things might be missing. For example, it is easy to miss sending in the Writing Supplement after your Common App is submitted. Several schools direct you back to the Writing Supplement, which then must be reviewed and submitted electronically. However, as more people use the Common App website at peak periods, there are sometimes slowdowns and then submissions time out. If you discover by checking your account that something is missing, the schools will direct you to the best way to submit the missing materials ASAP. Don’t be afraid to email or call the school to find out exactly what to do. Then be sure to check the portal every few days. Other missing items might be letters of reference from teachers through Naviance or other recommenders that are uploaded direction to Common App, your standardized test scores, and any additional materials that you might have emailed after the application is submitted. There’s more to do after you’ve submitted early applications! 1. Continue to connect with the colleges: Besides keeping up with your schools by checking your individual accounts, you may want to visit the Facebook accounts and Twitter feeds that are full of news about the programs, admissions updates, Accepted Candidates Days, etc. for the colleges to which you have applied. You will want to be informed about the schools to which you will ultimately be accepted. Early action schools will continue to give you information that is very important to your ultimate decision-making. 2. If you are accepted Early Decision to a college or university, you must accept the offer (with rare exceptions regarding financial aid issues), withdraw your other applications, and buy the t-shirts and hats. You should also pursue possible scholarship opportunities that are listed for each school on the Common App. 3. If you are accepted Early Action, you may continue to apply regular or rolling decisions. Many schools accept applications through the winter months and even early spring! Be prepared for the possibility that the schools you had counted on might defer your application. Also, you may be accepted to a different campus or you may be offered Spring semester or sophomore year options as well. There will be many decisions to make. Send additional information to schools that have deferred you. You may want to reach out by email to the admissions officers, thanking them for giving you an additional opportunity to be considered, and indicating that you have new leadership positions, awards, etc. Get some advice about sending information about qualifications and circumstances that you did not include in your original application. Ask if you may send several more recommendations, especially if you did not take advantage of the number of references a school will accept. 5. Consider applying to a few more schools that are reasonable choices. Don’t wait until mid or late December to prepare more applications. Once your high school goes on December break, you won’t be able to get in touch with your counselor or teachers if you need information or guidance. Make sure that to inform your teachers that you are applying to more schools so that they can send and even update recommendations through Naviance. If you are allowed, ask some other teachers to send recommendations as well. 6. Ask for optional recommendations, both from teachers and “Other Recommenders.” Some applicants miss the Common App “Other Recommenders” section entirely. Some schools do not allow them, but others will allow as many as ten, including arts teachers, clergy, coaches, a college access counselor, employers, family members, peers and “others.” For each school, click on “Recommenders and FERPA,” scroll down to “Other Recommender,” and follow the directions to “invite” people who can provide insight into you as a candidate and a person. They will receive an email inviting them to provide a user name and password so that they can place their recommendation directly through Common App. 7. Review your activities and honors to update them if that is possible. 8. Take advantage of opportunities to upload a resume or send a link to a URL of a website or a social media presence that features some unique qualifications. 9. Consider reviewing, editing and even replacing your personal essay if you have an idea you wish you had covered in the original essay. 10. If you did not take advantage of the Additional Information option in the writing section of the Common App, consider adding it now. You have up to 650 words to explain circumstances that affected your academic or personal life, give more details about qualifications that you did not discuss adequately in your previous applications, or provide any new information that gives the admissions officers a chance to get to know you better as a candidate. Last, be sure to keep up your grades, aim for leadership positions, visit and research colleges, and try to enjoy the rest of your senior year! 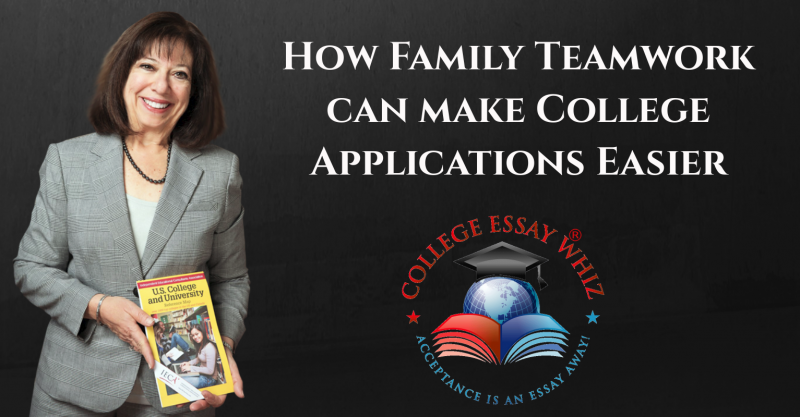 College application fees–you can get some waived! Applying to college can be pricey. Between the fees for standardized tests and those for submitting applications, costs add up quickly! But did you know that you might be able to get a few of these fees waived and that some colleges don’t even require application fees? If you’re taking the SAT, talk to your high school’s college/guidance counselor to determine whether you’re eligible for an SAT Fee Waiver. This waives fees for testing and score reports (up to a cap) and up to four applications to participating colleges. There’s also a fee waiver for the ACT. Similar to the College Board’s SAT Fee Waiver, it waives fees for testing and score reports (up to a cap), but it does not waive college application fees. For this waiver, too, talk to your high school’s college/guidance counselor to determine your eligibility. In addition, both the Common Application and Coalition Application offer fee waivers. The National Association for College Admission Counseling offers an application fee waiver as well. This is a fee waiver request form to be completed with your high school’s college/guidance counselor and submitted to up to four colleges for consideration. Good news: If you’ve already had application fees waived for four colleges through your SAT Fee Waiver, for example, you’re permitted to use this for an additional four applications. If you’re applying to a college that doesn’t accept one of the fee waivers above or you are applying to a larger number of schools, you can check colleges’ websites and/or contact the admissions offices to find out whether they have their own fee waivers to ease the financial burden of applying. Finally, the same College Board resource that lists colleges that participate in their fee waiver program also includes colleges that don’t require fees at all, so be sure to check it out! Some colleges proactively send application fee waivers to prospective students. There are mixed observations about the reasons for this practice. Some sources claim that this is a way for colleges to boost application numbers (thereby decreasing their acceptance rate). Others say that it is designed to remove the barrier for entry for students who might not otherwise apply due to financial constraints. Last, some sources believe that this is simply a marketing tool. However, if you take advantage of this sort of waiver, be aware that although this should not be construed as a guarantee of acceptance, it can still be helpful! Of course, don’t spend time on the school’s application if you would not attend if accepted. Instead, focus on schools that you think would be good fits for you.